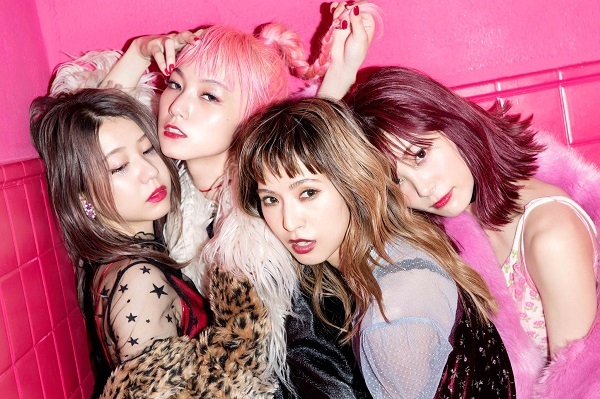 8th full-length album from SCANDAL released on Valentine Day 2018. This album includes iTunes chart-topping digital single Koisuru Universe. This album also includes the energetic song Take Me Out, that has been released as single on 2016. Overall, none of the song has same style, SCANDAL really do a good job with the flow of this album. All lyrics are written by SCANDAL's member, mostly by Rina Suzuki. Mami Sasazaki write Oh! No! and Tomomi Ogawa write Mado wo Aketara. Beside Koisuru Universe and Take Me Out, Futari is the only other song that has been released in previous single. The rest of them are brand new song. This album released in three version : regular edition, first press limited edition, and complete production limited edition. The first press limited edition has bonus DVD contains their 11th anniversary special live Storyteller : SCANDAL held at Billboard Live Osaka on August 21, 2017. And the complete production edition has special T-Shirt designed by twin Tokyo fashion icon, AMIAYA. With this album, SCANDAL also give their tour SCANDAL TOUR 2018 "HONEY" starting March 2018.